“Daddy,” she had explained, “this is for you.” Dad shook the gift and began guessing, “It’s mighty light. Is it a Volkswagen? Is it a St. Bernard? Is it a bowling ball?” No, it was none of those things. That father had been looking for something tangible and wound up finding something much greater than anything he might have imagined. Today he keeps his daughter’s present on his desk at work. When things get rough, when he’s frustrated, he knows there is a storehouse of love right there in the box. I love that story — the story of a Child’s ongoing love for a parent. I like the story of Jesus, the Good Shepherd, who has shown all of us an unearned, undeserved and unending love. And He promises us that He will always be there for us. Always! To be able to make that statement cost Jesus dearly. He had to leave heaven and come to earth. It meant He had to live among people who didn’t appreciate or understand Him. It meant He had to suffer and be murdered by the very folks He had come to rescue. As He had laid down His life for His sheep, the risen Redeemer was able to offer us the greatest gift ever given. In truth, my friends, in Jesus we have been given a love so wonderful it ought never be displayed on a desk; it ought always be carried in our hearts. Dear Lord, you have given us the priceless gift of abundant and eternal life. 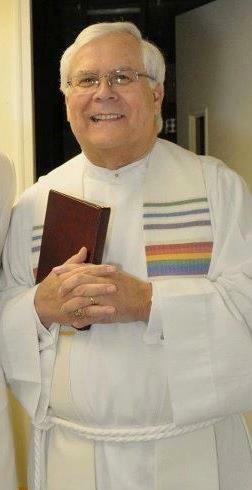 Help us to live it in the present moments as we allow Jesus to live in and through us. Amen. P.S. Don’t forget my new book is being published as an iBook on iTunes. 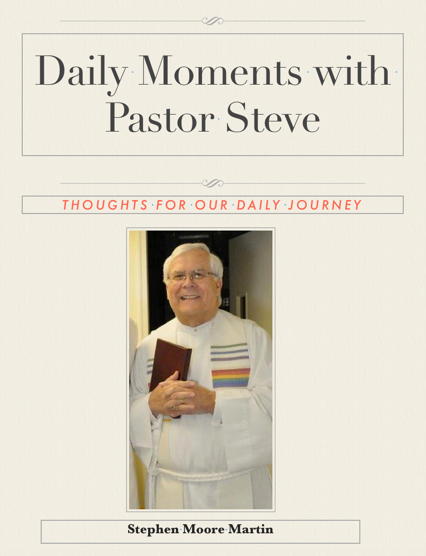 It is entitled “Daily Moments with Pastor Steve” You will be able to purchase this book simply by clicking the title of the book above. Thank you for purchasing this book, participating in the devotional times, and for sharing it with your friends. I pray that it will help us all.